Mintos is proud to announce that we have joined the Czech Fintech Association (CFA). The CFA, Founded in 2016, aims to support the shared interests of fintech companies and entrepreneurs, shape the regulatory environment and, thereby, promote the adoption of cashless and frictionless solutions in all sorts of transactions. Mintos provides retail investors with an easy and transparent way to invest in loans originated by a variety of alternative lending companies around the world. 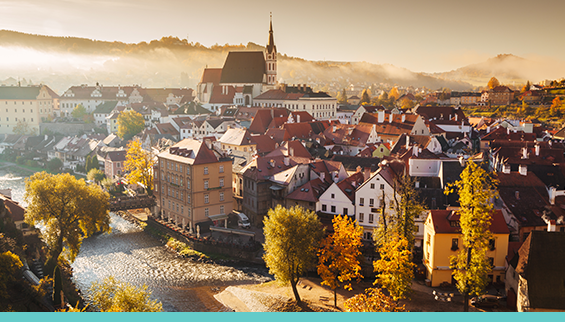 Reflecting our mission to facilitate the free and efficient movement of capital, our marketplace already works with three loan originators in the Czech Republic: Creamfinance, Creditstar and ACEMA. Mintos is also a member of the German-Baltic Chamber of Commerce, The Latvian Chamber of Commerce and Industry, the Alternative Financial Services Association of Latvia, the European Fintech Forum and the Fintech & Insurtech Spanish Association. In more than three years since its establishment, Mintos has exceeded EUR 1 billion in cumulative investments by investors and the company expects the amount of loans funded to reach EUR 2 billion in the next 10 months. The number of investors using the marketplace has reached over 80 thousand, and the company expects to reach 100 thousand investors by the end of the year. The CFA brings together companies, who offer fintech solutions (regular members), and those which have a stake in fostering fintech ecosystem (associate members). All members can engage in all activities, as well as put forward ideas for projects, standards and policy actions. To further its goals, the CFA partners with other national and regional fintech organisations. This brings not only policy insights on regulatory developments in other countries or the EU, but also establishes the CFA as part of the global fintech ecosystem. The CFA currently has over 40 members and partners.